Remember that signal I pointed out last week? Well, the second position closed with another 147-pip gain! However, none of the 5 signals for this week that materialized on my HLHB Trend-Catcher ended as a winner though. In my last update, I pointed out that the first position on the trade to short at 1.3468 already closed with a 150-pip gain. As promised, I kept tabs on the second position. It closed when a new crossover materialized at 1.3321 with a 147-pip win. Sadly, it was the highlight of my system for the week. There were five signals that materialized after but none turned out to be a winner. Or at least, not yet. An upward crossover materialized early on in the week that automatically closed the short trade from the week prior. EUR/USD rallied for a bit but soon traded lower and it didn’t take long for another crossover to happen. The second trade that my system generated only lasted for a couple of hours. Quickly after a downward crossover materialized, the pair traded higher and stopped it out with a 19-pip loss. 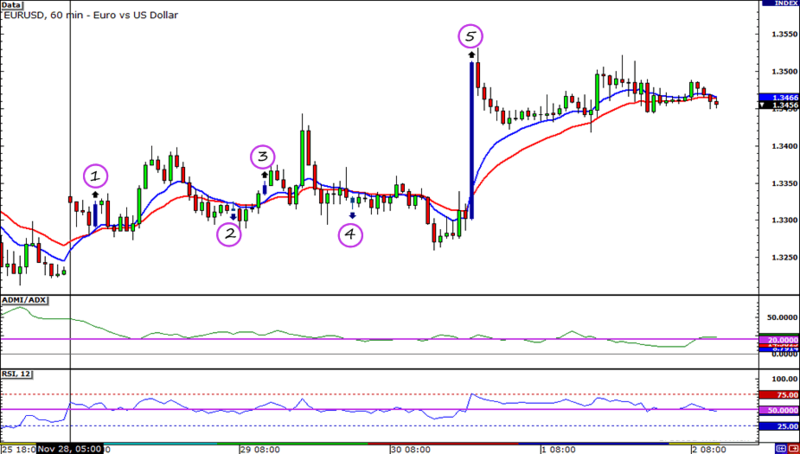 I was hopeful that the third signal would translate into pips as EUR/USD broke above 1.3400. But the pair reversed its upward move faster than you can say “Mick Jagger!” As it turns out, it scored the biggest loss of the week of 49 pips. The moving averages crossed over for the fourth time in the week but with the Average Directional Index (ADX) below the 20 baseline, it wasn’t a valid trade. Finally, a buy signal at 1.3512 materialized towards the latter part of the week following the strong upward move on the pair. Will it be a winner? I’ll be sure to let you know! I’m not exactly feeling like a Victoria Secret Angel with its scorecard for this week. On the brighter side of things though, the losses that the Trend Catcher system incurred were limited. I really have to figure out a way to filter fakeouts better. 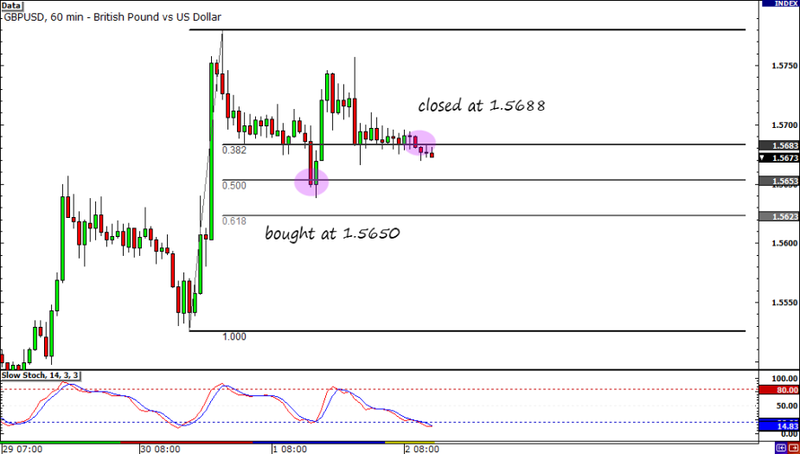 The GBP/USD trade that I got in this week turned out to be a winner. Unfortunately, the win wasn’t as big as I initially wanted. The pair merely ranged, and I decided to close before traders close shop for the week. I don’t want to expose my trade to weekend risk! As I mentioned in my GBP/USD trade idea, I decided to go long because I felt that there was a major shift in market sentiment when global major central banks worked together to lower dollar swaps. I was correct in saying the pair would remain above 1.5600, but I did overestimate the market’s bullishness. Still, a win is a win and I’m happy. That’s it for this blog post folks! Stay tuned next week for a brand new trade idea from me! Should I stick to my HLHB Trend-Catcher System or come up with an entirely new one?